Aside from being known for its great story, unique art, great humor, as well as fun and interesting characters, this best-selling adventure series is also known for its collection of weird, fun and wacky scenes. 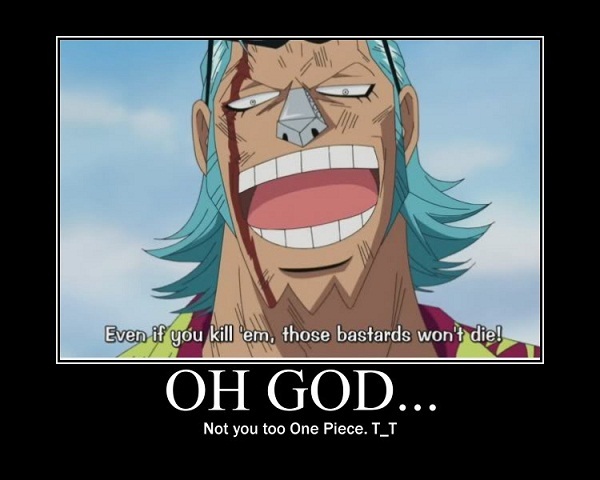 So much so that some scenes and quotes have run wild through the internet, evolving into a whole new breed of humor - One Piece memes! 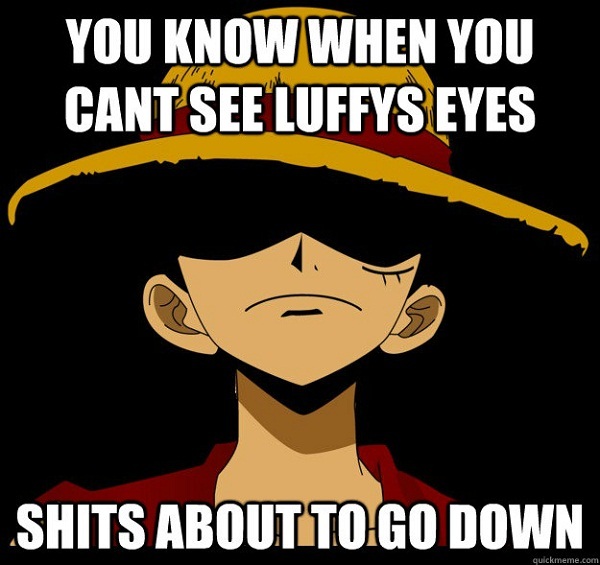 Here are the pick of the litter: 20 of the absolute funniest One Piece memes on the web! 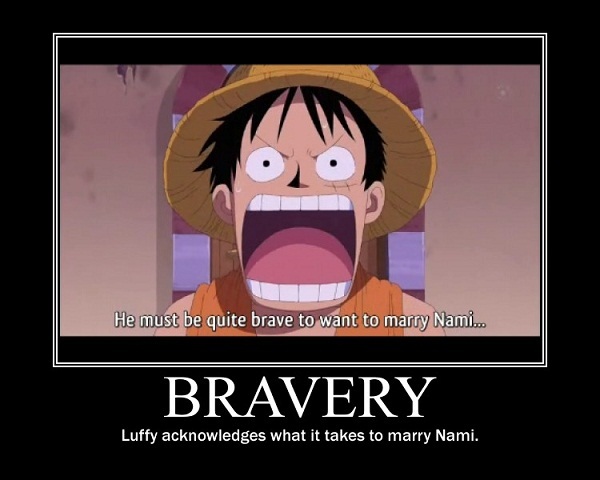 A true hero will fight to protect what is important to him, no matter what anybody else says. Luffy proves this with his refusal to become a vegetarian. 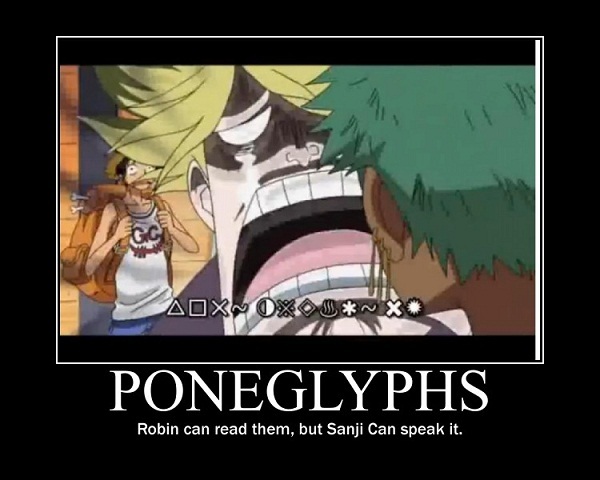 When all else fails... use poneglyphs! 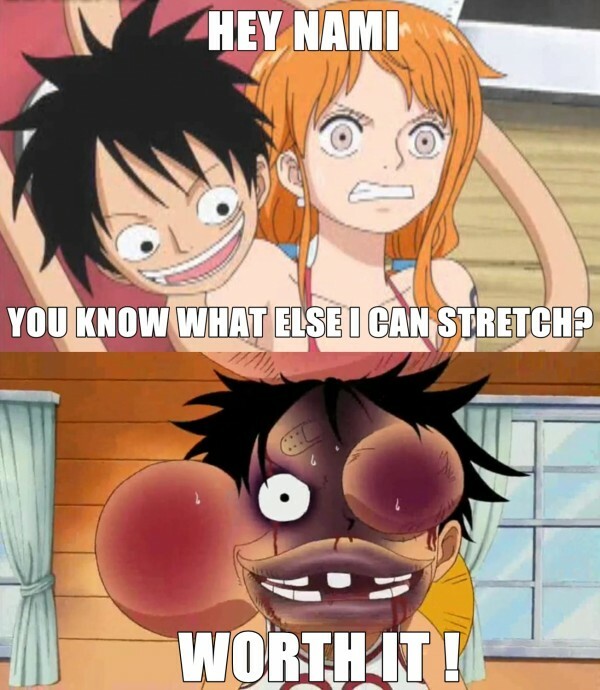 Luffy is the only one who could handle Nami's "passionate" ways. 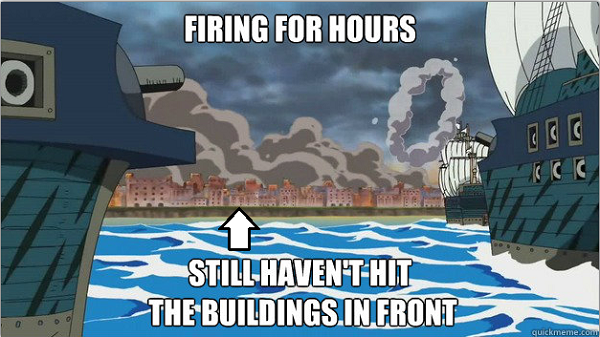 One Piece memes are the voices of fans who just can't let a certain line go. 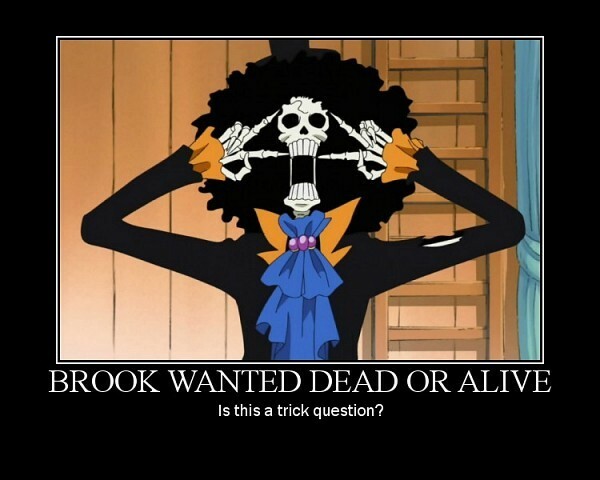 Sometimes the simplest questions are the most difficult to answer. 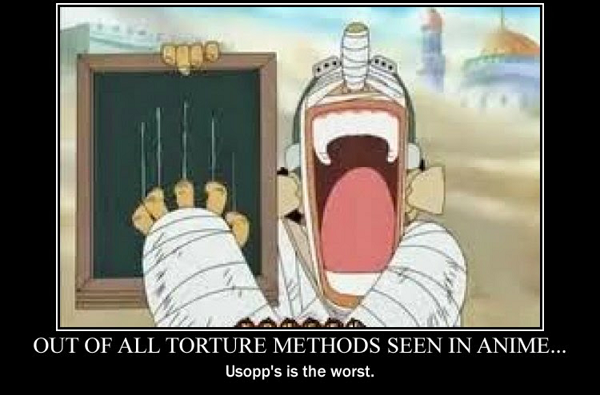 That look on Usopp’s face says it all! 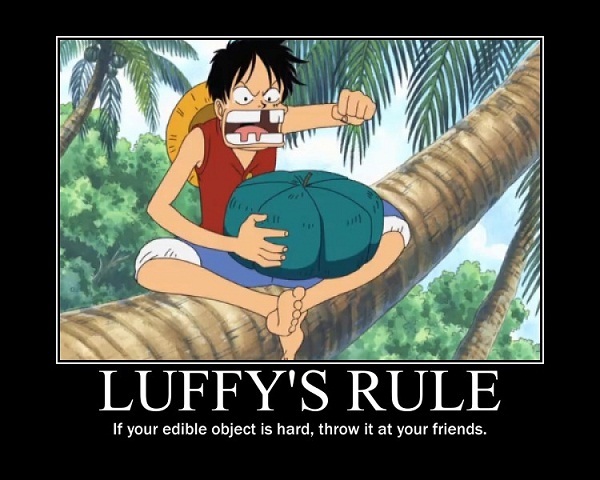 If you can’t eat it, throw it. Where you ask? Why, at your friends, of course! As the saying goes, "Smoke em if you got em"! Who would have guessed it, huh? 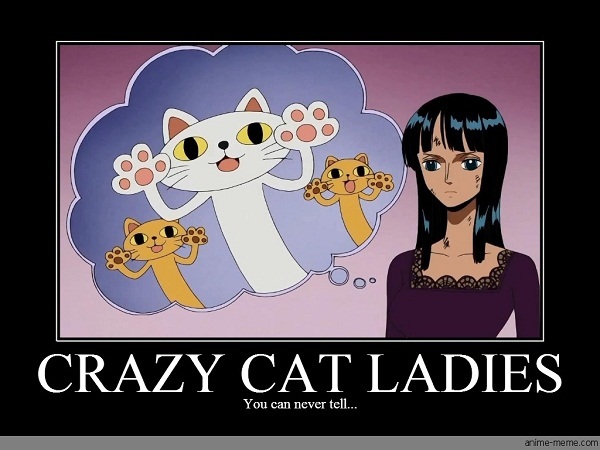 Robin may have had a rough childhood and be a tad on the gloomy side, but apparently she still has a soft spot for furry little animals, as we can see in one of the cutest One Piece memes ever. 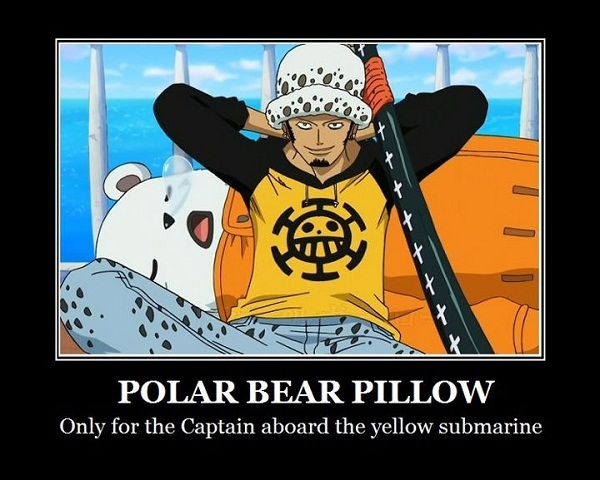 Tell me where the One Piece is! TELL ME! Man, I wish I had an invitation to that party! 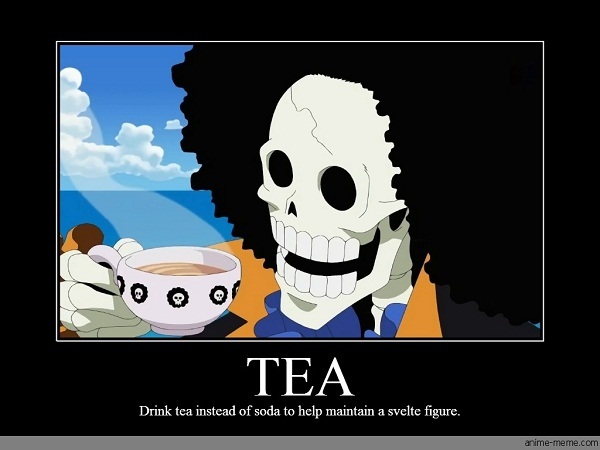 Finally, the secret to Brook’s fine figure unlocked! 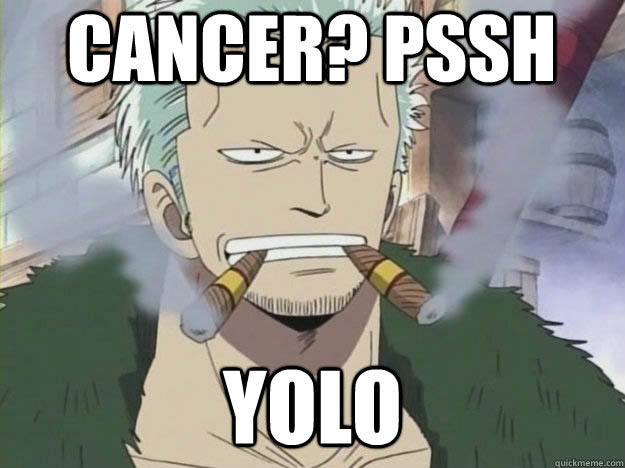 People seem to forget that this dude is aiming to become the Pirate King. Soft bear, warm bear, little ball of fur! 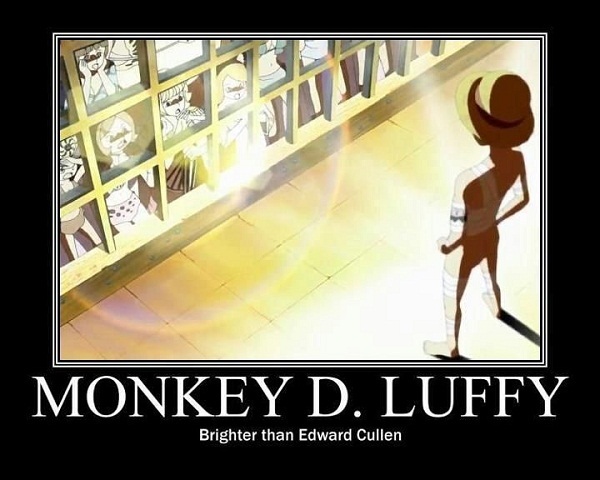 His booty is brighter than gold. 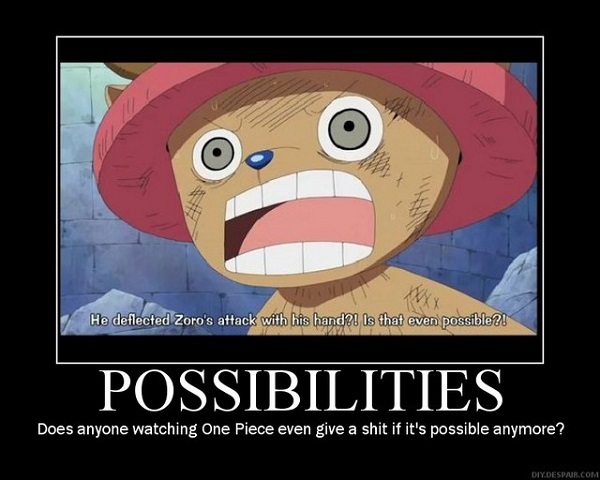 One Piece - making the impossible possible. 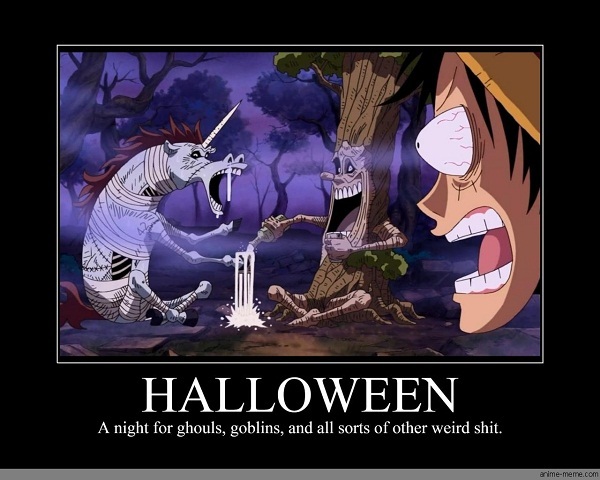 Even the spooky get spooked in the world of One Piece. Well there you go! 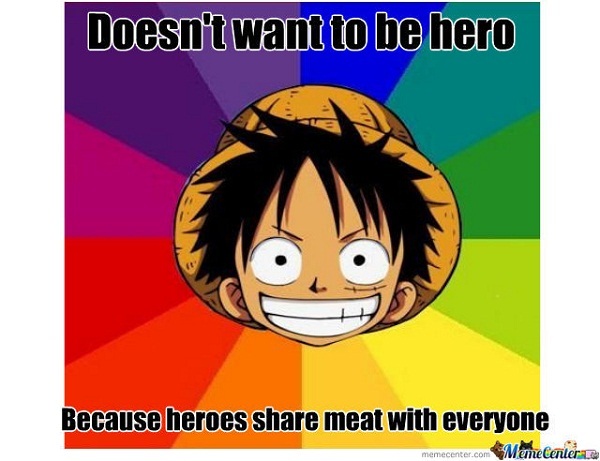 I hope you enjoyed these hilarious One Piece memes! 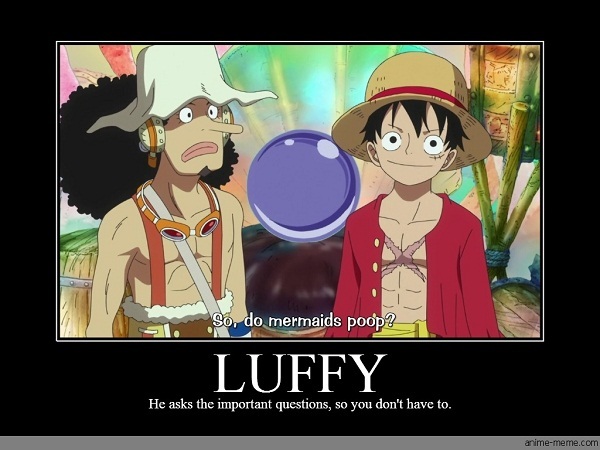 Please be sure to check out this wacky series for yourself for more inspiration and you may just be able to come up with a few of your own One Piece memes. One Punch Man's main protagonist, Saitama, has less than extraordinary physical features (to say the least), but these qualities are the main reason audiences worldwide have embraced him as a true hero. Here are 15 of this amusingly bald character's funniest memes that will surely brighten your day! Memes are one of the best ways to have a quick giggle (or laugh hysterically) when browsing the Internet. Here are a mix of new and old anime memes! Sometimes there's nothing that expresses a feeling or reaction better than a meme. It is the visual personification of sarcasm and irony. And what better inspiration for irony than a comedy series about death. 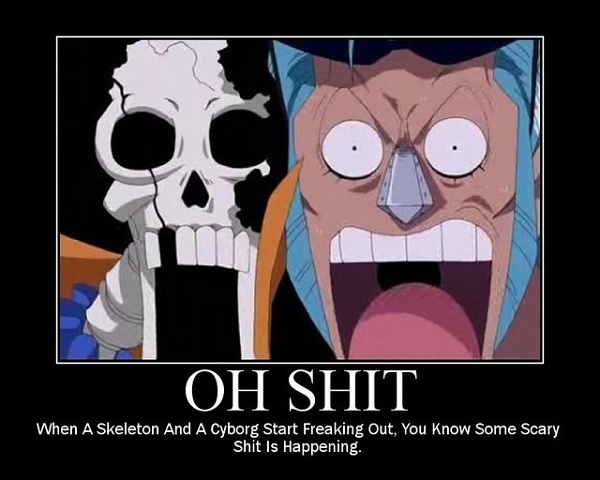 So, without further ado, enjoy this list of 15 Death Note memes sure to entertain! Had a bad day or simply need a pick-me-up? 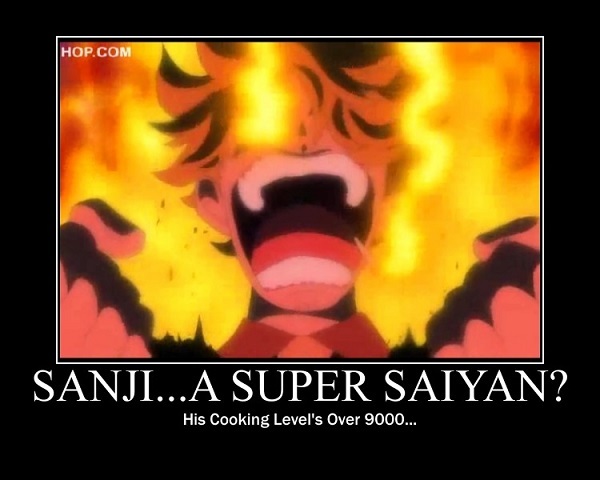 These 30 jokes about some of the most popular anime series are bound to make you laugh! Kill la Kill is an anime filled with action, tragedy, hope, friendship, and of course, humor. Here is a list of 15 of the funniest Kill la Kill memes available, all sure to bring a smile to your face! Get ready for a good laugh!